Consistently recognized as a leading trial and appellate attorney, David specializes in corporate and commercial litigation and ADR. David’s practice includes contractual disputes, shareholder and partnership disputes, insolvency/restructuring, class actions, real estate, and employment-related litigation. David is recognized by The Best Lawyers in Canada® as a leading lawyer in the areas of Bet-the-Company Litigation, Class Action Litigation, Alternative Dispute Resolution, Corporate & Commercial Litigation and Appellate Law, and as a Litigation Star in Arbitration and Commercial Litigation by Benchmark Canada: The Definitive Guide to Canada’s Leading Litigation Firms & Attorneys. 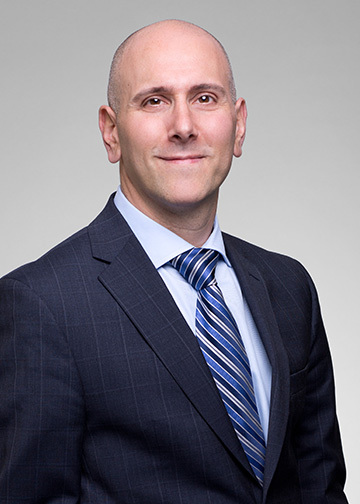 David has successfully argued cases before the Supreme Court of Canada – including as lead counsel in Bou Malhab v. Diffusion Métromédia CMR inc. and acting pro bono in Bruker v. Marcovitz – the Federal Court of Appeal, and all levels of court in Québec. David is a prolific writer and sought-after speaker on various issues related to his practice, including in the areas of class actions and arbitration. David is a member of the Disciplinary Committee of the Québec Bar, acts as a Chair of the Academic Hearing Panel at Concordia University, sits on the Governing Board of Royal West Academy, and is a Past President (and current Director) of the Lord Reading Law Society. David is a Fellow of the Chartered Institute of Arbitrators (FCIArb.). He acts in domestic and international arbitrations – as counsel and arbitrator – across a wide range of areas. David was recognized by The Best Lawyers in Canada® as the 2014 Montréal Alternative Dispute Resolution Lawyer of the Year. David also trained in Mediation in the Program on Negotiation at Harvard Law School Executive Education course. Recognized in The Best Lawyers in Canada® as a leading lawyer in the areas of Bet-the-Company Litigation, Class Action Litigation, Alternative Dispute Resolution, Corporate & Commercial Litigation and Appellate Law. Recognized as a Litigation Star in the areas of Arbitration and Commercial Litigation by Benchmark Canada: The Definitive Guide to Canada’s Leading Litigation Firms & Attorneys. Named Montréal Alternative Dispute Resolution Lawyer of the Year 2014 by The Best Lawyers in Canada®. Named as a Litigation Lawyer to Watch in The Lexpert® Guide to the Leading US/Canada Cross-border Litigation Lawyers in Canada. Named one of the 2011 Lexpert® Rising Stars: Leading Lawyers Under 40.